This blanket is designed to use up most of the yarn in each colour, but you can easily change size as blanket is made of squares. Field of Flowers looks as summer meadow and for sure will be decoration to any interior. Don’t forget to share your work in our Facebook Group. The link to the pattern is below. Enjoy! 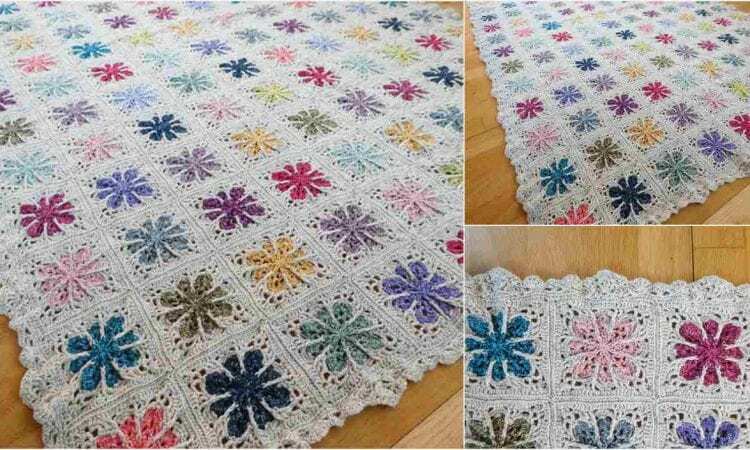 Field of Flowers Blanket – visit the free pattern site.